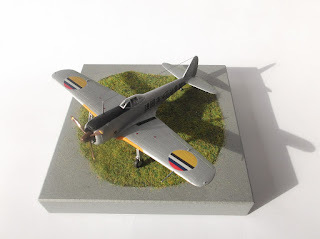 A5M kits have been flying in from different directions and in different scales recently, from Sweet's tiny masterpiece to the new Fine Molds and Wingsy 1/48th scale releases. Dan Salamone has very kindly shared the results of his build of an older Fine Molds kit featuring the A5M1 variant. 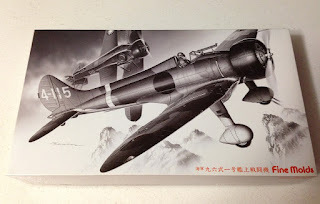 The monochrome box art painting by Masao Satake (the artist responsible for the current 'black' series Bunrin-do FAOW covers) depicts a camouflaged A5M1 '4-115' of the 13th Kokutai flown by PO3c Kan-ichi Kashimura in December 1937. 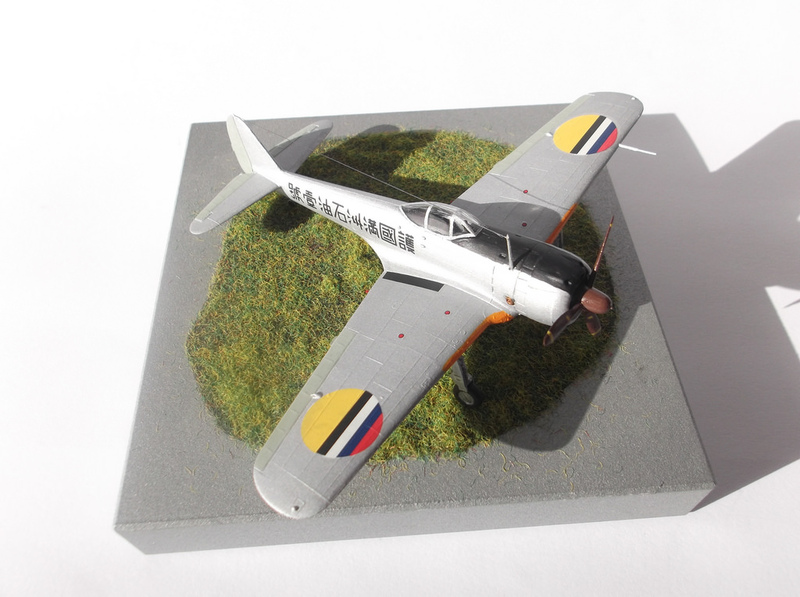 "Here is my recently completed 1/48 Fine Molds A5M1 Claude, the very first aircraft in the scale that this company released in 1991. 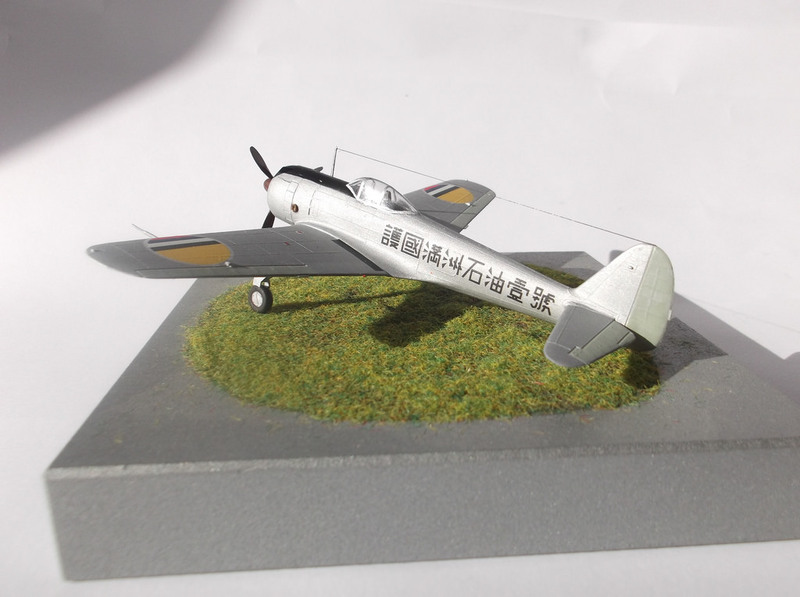 It depicts an aircraft based in China, circa 1937. 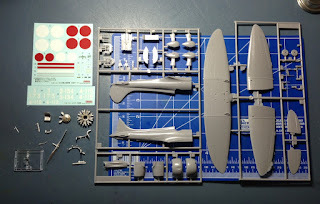 "The early kits from Fine Molds are more like high quality limited run kits, compared to their cutting edge quality kits of more recent times. Much like their Ki-43 and D4Y kits, dry fitting and sanding will reward a modeler with a nice result. 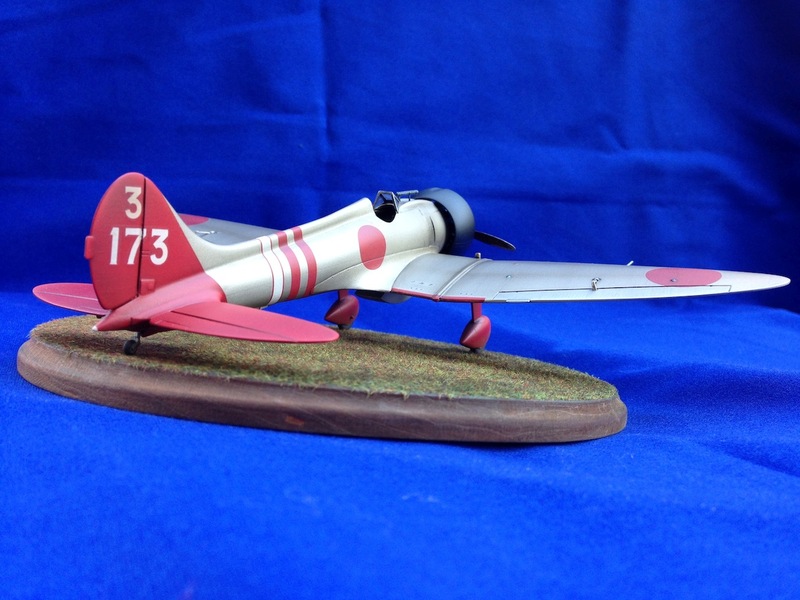 This kit also lacked some of the basic markings, such as prop and wing stripes. A good comparison would be to Classic Airframes kits, whereas recent Fine Molds kits like the Ohka and Ki-10 are right up there with Tamiya quality. 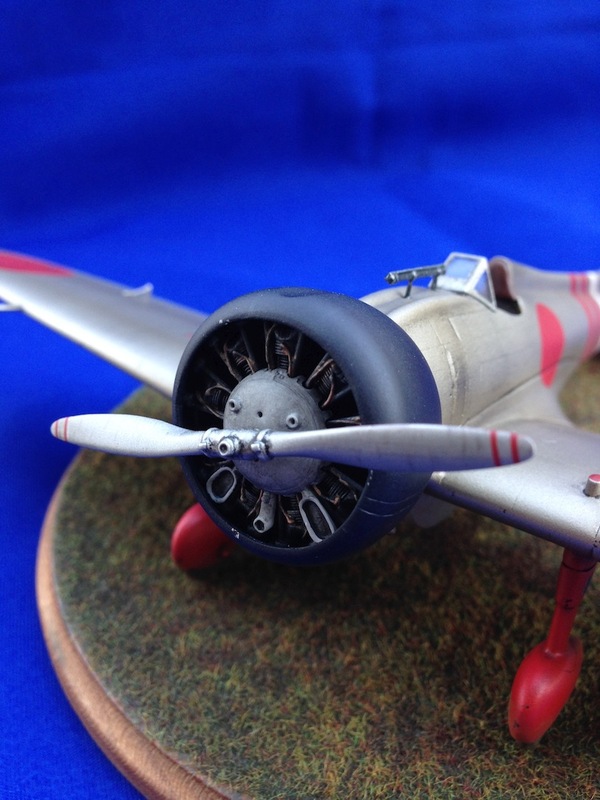 "The highlight of this kit were the white metal engine and exhaust parts. 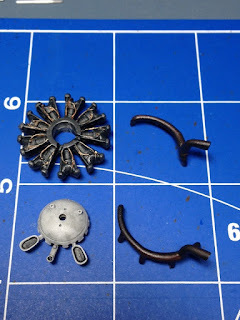 The small parts count was also a nice break as my goal was to keep everything simple with minimal research and improving the kit as little as possible. Famous Aircraft of the World # 27 and Eduard photo etched harness parts were the extent of what I used beyond what came in the box. 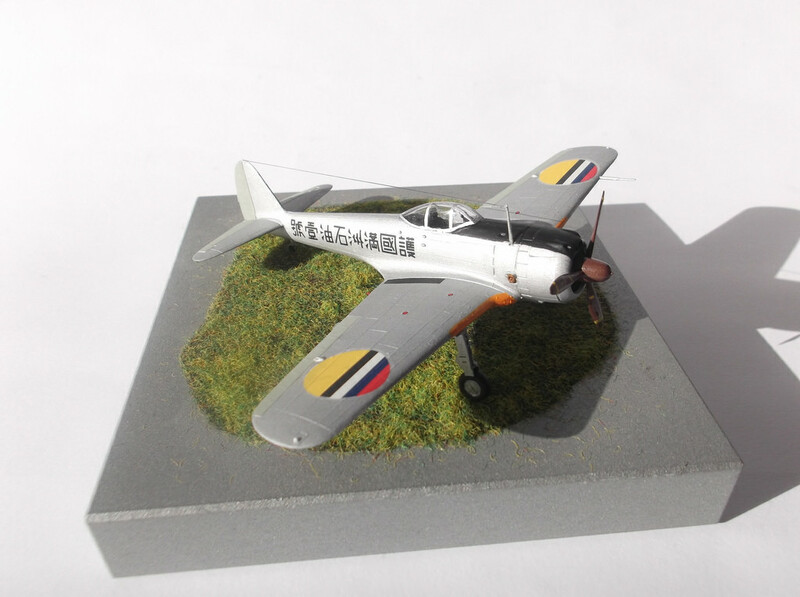 "The decals reacted rather poorly to Gunze decal solution, and the fuselage stripes were printed in straight lines rather than curved, so needed a lot of cutting and decal solution to conform to the model. 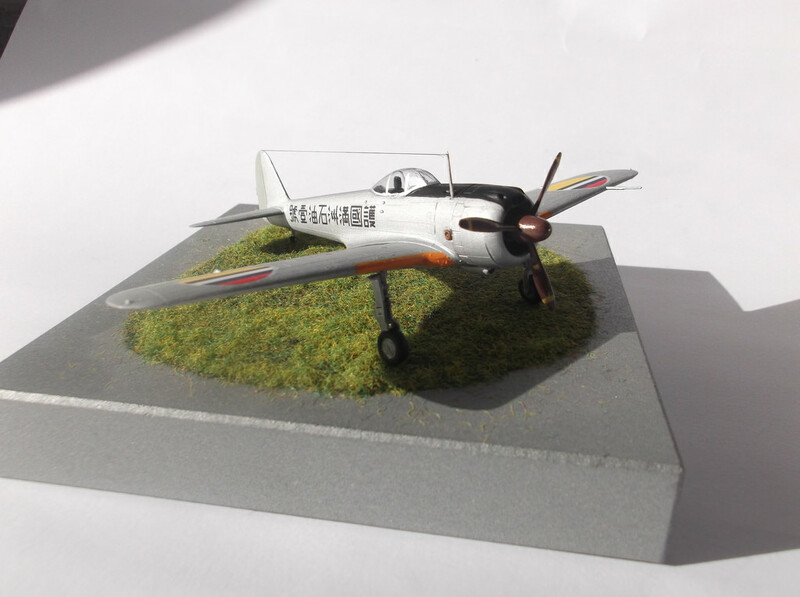 "My model was painted with Tamiya titanium silver from a spray can, the ailerons with Tamiya bare metal silver. These airframes were anodized aluminum and oxidized quickly, the titanium silver paint gives an appearance of this effect. The cowl and tail were painted with Tamiya acrylics, thinned with Gunze lacquer thinner and sprayed with my Iwata dual action airbrush. 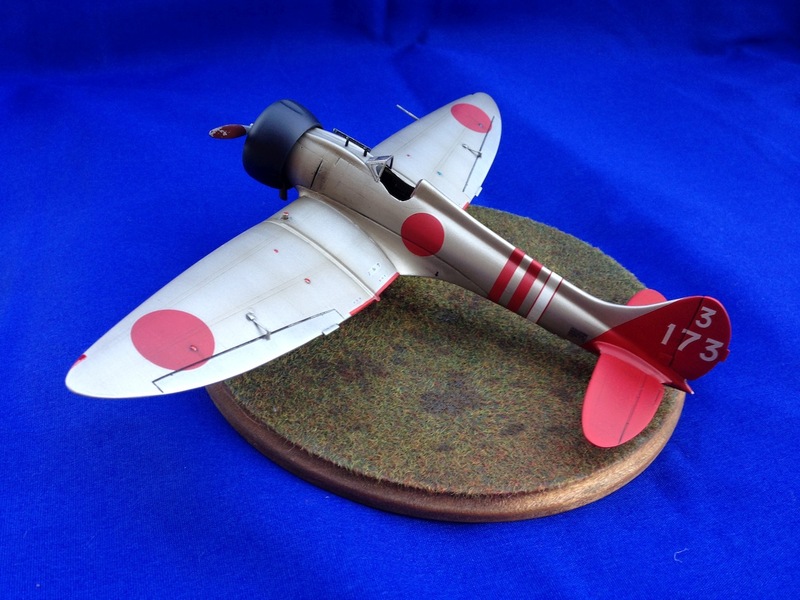 Weathering was with oils, Tamiya smoke, and pigments. 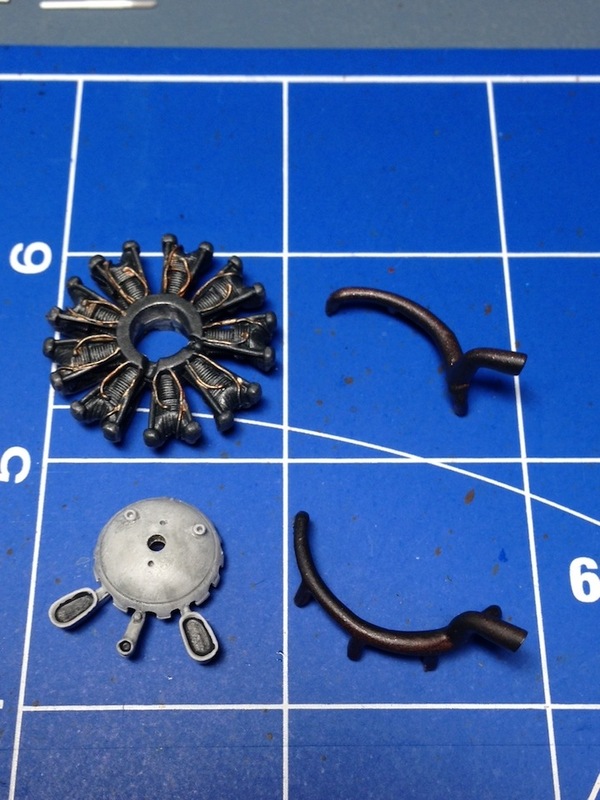 "The Fine Molds A5M4 kit just released this summer bears little resemblance to this kit, the quality of the moldings, parts count, and practically all else showing just how far this company has come in the past 25 plus years. Hopefully someday I will be able to display them side by side in my display case!" With special thanks to Dan for sharing these images of his very fine model, which represents an aircraft flown by a Buntaicho of the 12th Kokutai. 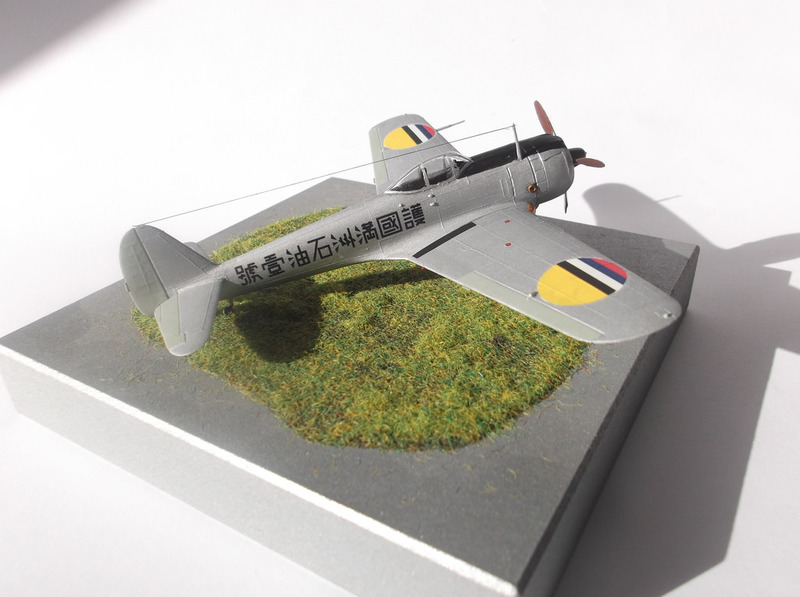 This unit was operating from an airfield near Shanghai, China on ground support duties when, during October and November 1937 it re-equipped with the A5M1 from its previous Type 95 biplane fighters. With the fall of Nanking it moved to the Dajaochong airfield at that city and participated in attacks against Nanchang and Hankow, being designated as a fighter unit early the following year when it absorbed the aircraft of the 13th Kokutai. £12.99 via email. Registered purchasers will be entitled to any further updates, additions or revisions free of charge. 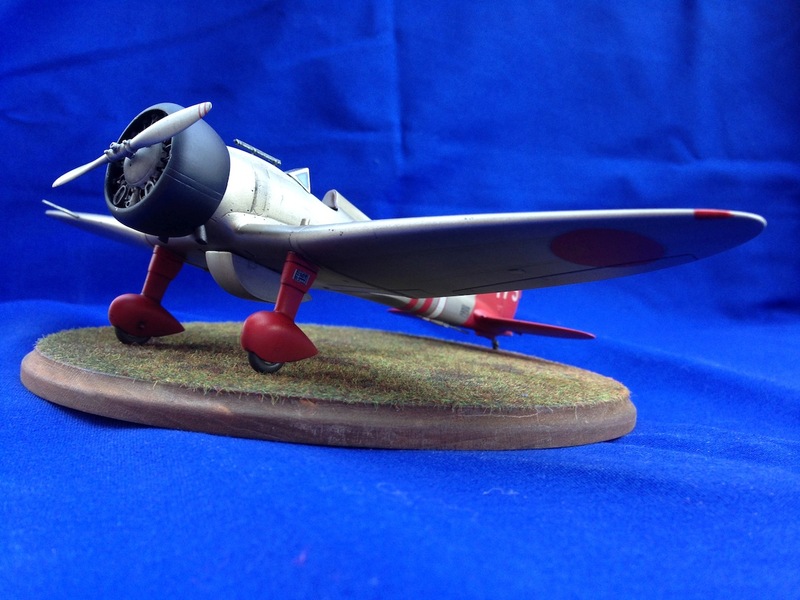 Here's a good idea, with thanks to Aviation of Japan's Texas correspondent Mark Smith for the heads up. 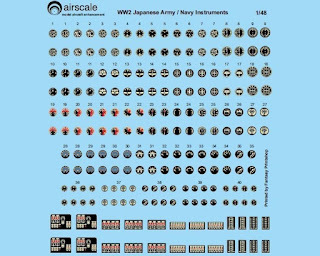 Japanese instrument decal sheets in three scales from airscale - 1/48, 1/32 @ £7.25 each and 1/24 @ £8.25. 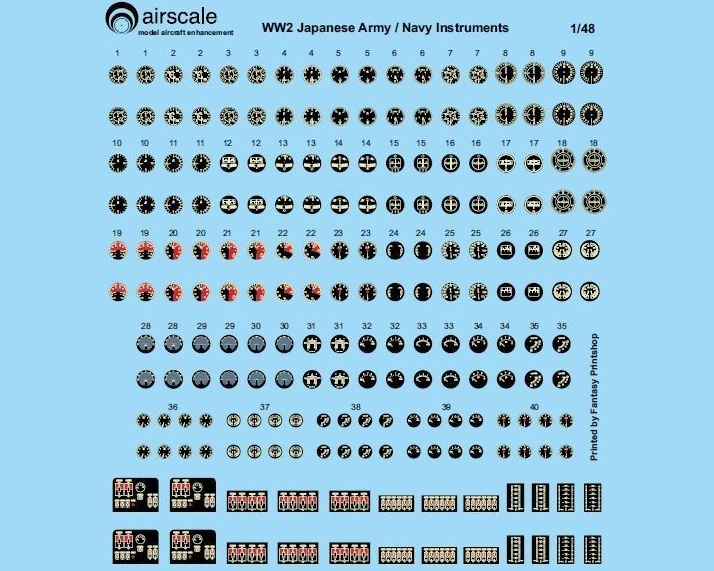 Just the thing for improving the cockpits of older kits like the Otaki/Arii 1/48 series, the venerable Hasegawa 1/32 Ki-43-II or those big Bandai kits. The sheets are printed for airscale by Fantasy Print Shop who in addition to selling their own and other ranges of decals printed in house offer a custom printing service for a minumum order of 25 A4 sheets. A UK based company, airscale delivers worldwde, has PayPal checkout and also accepts credit cards. 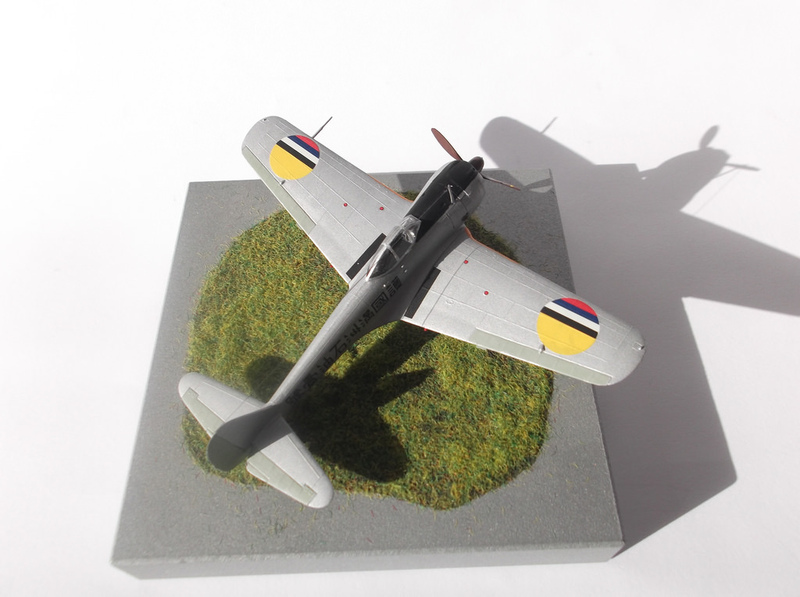 They also make generic photo-etch instrument bezels and cockpit components, as well as complete brass or decal instrument panels. Nothing Japanese as yet but the release of the Japanese instrument decal sheets bodes well. 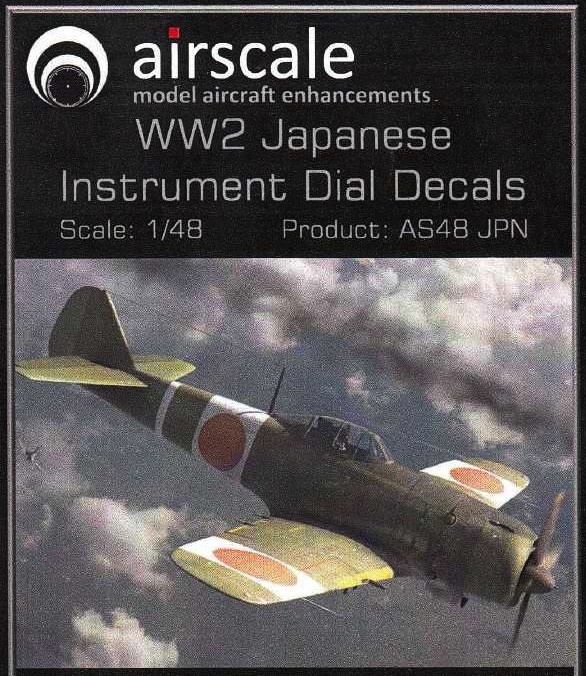 The Japanese instrument decals can be used with the generic photo-etch bezels. Or for that dwindling band of scratch-build plastic only modellers the decals can be laid on the kit panels with setting solution or the existing panel detail sanded off and a blank top panel made from plastic card with punch and die holes to lay over it. 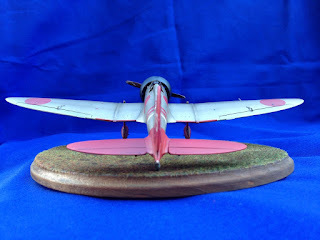 The rear panel can then be marked and the decals applied, the top panel added and the holes 'glazed' with clear gloss to present a 3D effect. 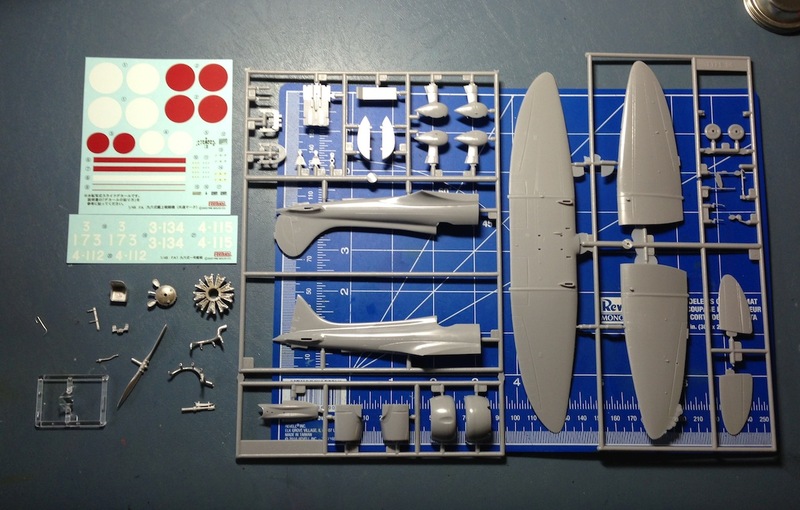 On some older kits the representation of panel detail is incorrect or inappropriate to variant so these decals offer the opportunity to create correctly configured panels. Following on from his 1/72 Hayate, modeller Sean has kindly shared these images of his Ki-43-II made out of the box from the classic Hasegawa 1/72 kit from 1982 and finished in Manchukuo (Manchuria) Army Air Group markings from a Blue Rider decal sheet. 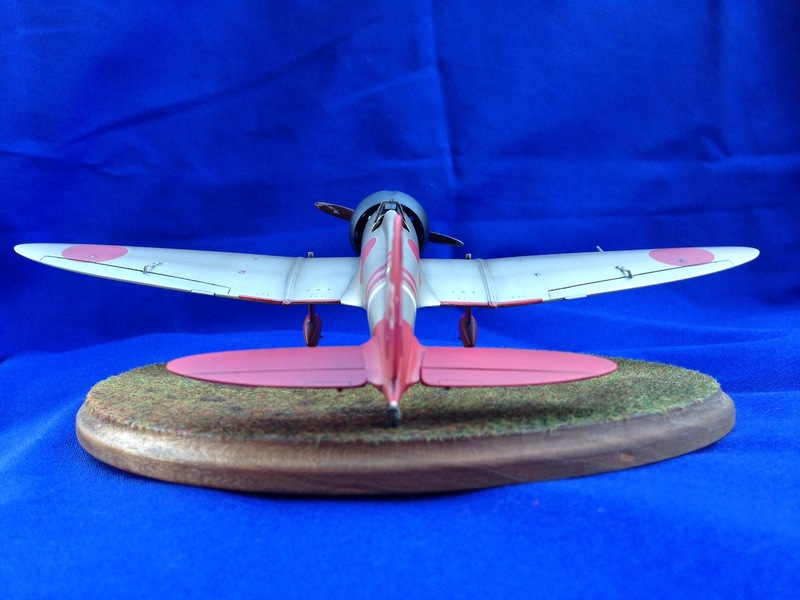 The Gokoku (Defence of the Fatherland) presentation marking on the fuselage of the aircraft identifies it as No. 1 donated by the Manchurian Petroleum Company (they donated two). 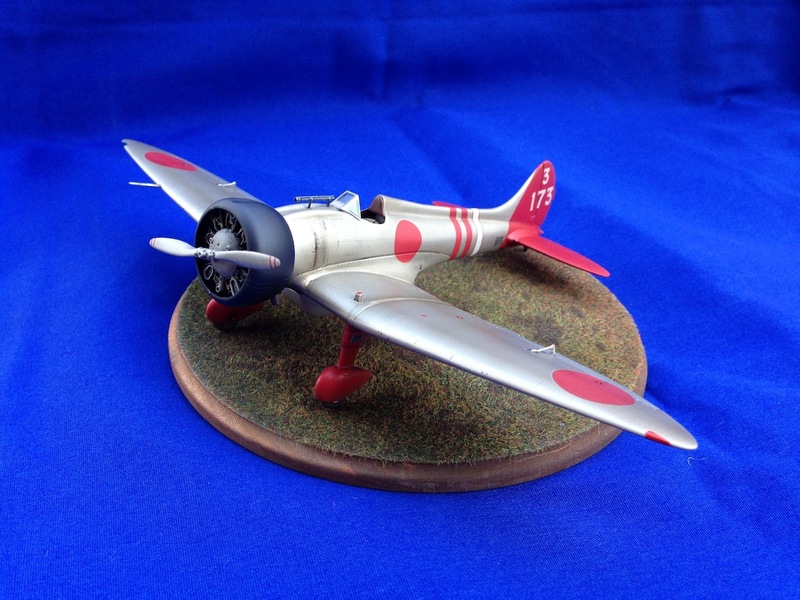 Five Manchukuo Army Air Group Hayabusa have been identified in photographs taken by a Japanese Army photographer showing them in service at the Mukden Aviation School. 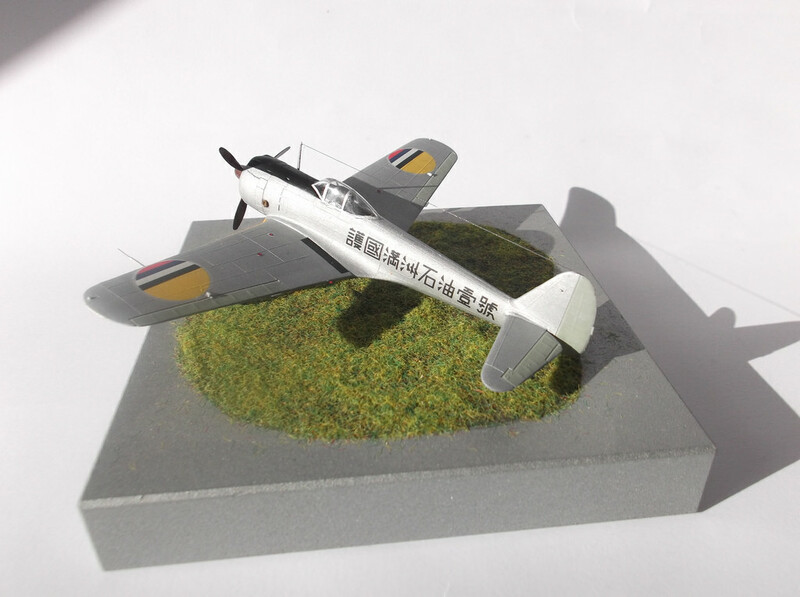 The Hayabusa were delivered and operated in the factory scheme of natural metal finish with anti-glare cowling panels, yellow IFF wing leading edge strips, dark brown props and grey green or aluminium doped ailerons, elevators and rudders - although a photograph exists showing a Manchukuoan Gokoku Hayabusa in flight sporting a rudder with five dark horizontal stripes like those worn by Nationalist Chinese aircraft. Sean used Humbrol metalcote for the aluminium and Mr Hobby acrylics for the other colours on the model. Manchurian roundels were applied only to the upper and lower surfaces of the wings and were based on the Manchurian flag, the colours of which symbolised five Confucian virtues, the five elements and the directions of centre, south, east, west and north, as well as the five main ethnicities of the country - yellow representing the Manchu, red the Japanese, blue the Han, white the Mongols and black the Koreans. More on Manchurian air units in due course. With special thanks to Sean for sharing these images with Aviation of Japan. 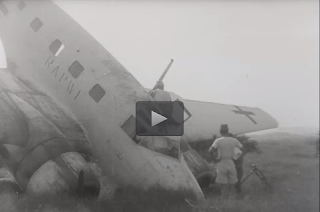 A hat tip to Jacob Terlouw for very kindly sharing this link to a fascinating if brief clip of film footage showing the aftermath of a nose over accident involving a RAPWI (Recovery of Allied Prisoners of War and Internees) Ki-54 in the white and green cross surrender scheme. Jacob believes this accident occurred at Semarang in Java with one fatality. The date is given as 31 Dec 1944 but that must be wrong. . . In February 1945 the Recovery of Allied Prisoners of War and Internees (RAPWI) mission was established by Admiral Lord Louis Mountbatten's SEAC (South-East Asia Command) HQ. Their role was to rescue and repatriate civilian internees and Allied prisoners of war in the SEAC area. In July 1945 Mountbatten was informed that as from 15 August 1945 his command area would be expanded to include all of Thailand, southern Indo-China and the Netherlands East Indies except for Sumatra. The Japanese surrender on 15 August changed the original plan for the RAPWI teams to follow advancing Allied forces. Instead, all POWs and internees across the entire area required immediate relief and repatriation. Mountbatten immediately established a RAPWI Co-ordination Committee to lead the relief effort and designated RAPWI control staff were attached to each of the six regional military HQs across his area of command. Java was only one of the operational areas, in addition to Malacca, Singapore, French Indo-China, Thailand and Hong Kong, and was not one of Mountbatten's priorities. The resources required were also limited. By 17 August there were only 40 RAPWI teams available for all 150 internment camps. As in Indo-China it became necessary for the air effort supporting the RAPWI teams to make use of surrendered Japanese air assets and personnel. Once the Allies were assured that local Japanese commanders would obey the order to surrender, RAPWI relief efforts began on 28 August. In Operation Birdcage aircraft dropped leaflets on the camps with instructions for the internees and Japanese staff. This exercise was followed by Operation Mastiff in which contact teams were parachuted into the internment camps. The first contact team, under the command of A.G. Greenhalgh, landed in Batavia on 8 September with teams for Magelang, Surabaya, Bandung and Semarang following soon afterwards. In Sumatra 12 teams from the Korps Insulinde had been active since August and by the middle of September RAPWI teams had arrived and started to evacuate prisoners from camps at Medan, Padang and Palembang. By the end of November all the camps had been evacuated. Howevern in Java the relief efforts were hampered by the lack of transportation and a deteriorating political situation. By the end of September it was clear that the Japanese were no longer able to maintain order on the island, so Mountbatten decided to occupy key safe areas in Java to which all internees would be brought. Tension increased until mid-October when nascent Indonesian forces came into armed conflict with Japanese and British troops on the island forcing them to become allies. Dutch and Indo-European internees were subject to widespread violence. Under these conditions RAPWI found it difficult to continue their relief effort but still managed to evacuate 223,250 former internees and refugees in Java and Sumatra. RAPWI was officially disbanded on 26 January 1946, and all of its relief services were taken over by the Dutch administrative organisation AMACAB. See also the Gremlin Task Force Part 1 and Part 2 for the use of Japanese air assets and personnel in SEAC operations in Indo-China following the surrender. "Towards the end of his life I was introduced to Walter 'Dinger' Bell, a true British hero. Still an upright sprightly fellow but obviously failing in health he told me some of his life story. Walter did not get on with his father who was apparently something of a cad and took the first opportunity he could to leave home. He joined the Royal Navy at the age of 16 in 1938 and started his career at HMS Ganges which produced around 1000 boy sailors for the service each year. Cockroaches in the food were an early surprise but Walter thought he'd just better get on with it. Walter joined HMS Repulse. Life as a boy sailor was disciplined. No smoking or drinking and back on board ship at an early time. "Repulse was involved in the hunt for the Bismarck but after the sinking of the Hood was ordered to withdraw. The Admiralty at that point no doubt knew the weakness of Battlecruiser armour. Severe storm damage meant that the ship needed repair and she was directed to the USA for this work to be undertaken. On being sent to the Far East the crew feeling was that 'we were going to show them who was boss' (although subsequently in the event 'they showed us'). At the same time, the crew of the Repulse thought 'Prince of Wales' to be a jinx ship. 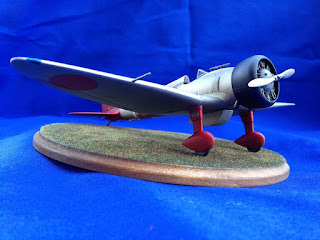 "Following the sinking of Repulse by the Japanese Walter spent around three hours in the water before being rescued by HMAS Vampire. This was good news and bad news in that Australian naval ships did not issue rum! Vampire was subsequently sunk off Ceylon together with HMS Hermes. Returning to Singapore around the time of it's fall Walter was posted as one of the crew of a (motor?) yacht, apparently the possession of a senior (RAF?) officer with orders to sail to Australia. The local crew of the Singapore minesweeper that was meant to sail with them apparently deserted. 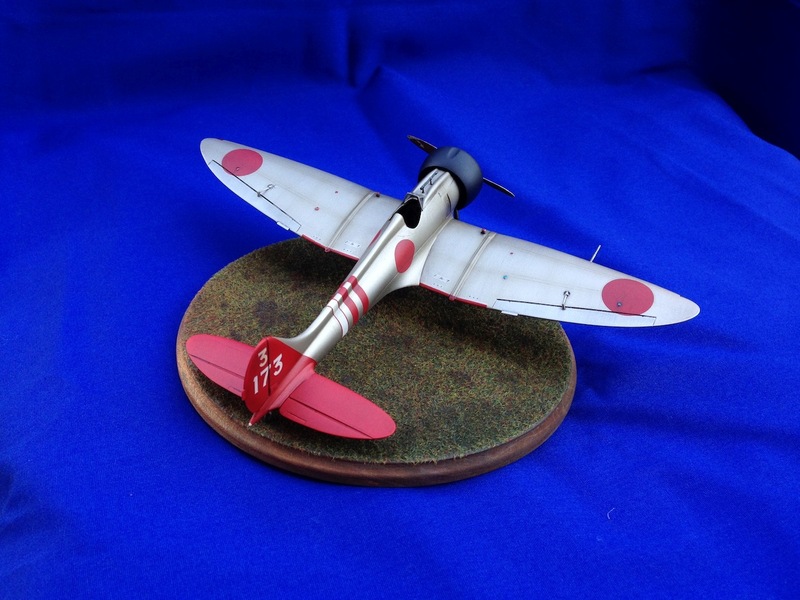 Sunk by a Japanese destroyer and subsequently rescued, Walter was treated well by the IJN who warned him what he was in for when he was handed over to the Army. "As a POW, Walter slaved on building airfields, as far as I recall in Java. Kindness was shown at great risk by some of the local inhabitants, one lady in particular who gave words of encouragement as the men marched to and from their camp. The sight of the moon at night comforted Walter and perhaps his fellow prisoners as it was the same moon that his friends and family at home were under. 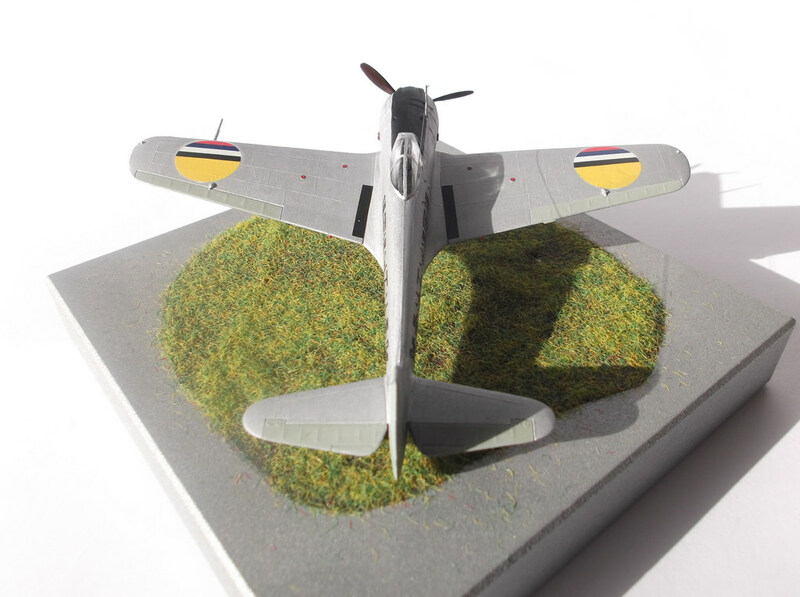 One evening, when he realised it was the occasion of Walter's 21st birthday a respected British army officer presented him with an end of a cigar which he had in his pocket. This officer later died in captivity. "The airfield(s) Walter and his companions were working on was/were bombed by Liberators and they must have known the direction of the war had changed. By war's end Walter lay in the 'death ward' of the camp hospital and was saved by the Australian medics who parachuted into the camp. The medics were very brave men as they could not have been sure of the reception they might get when they landed alone and unsupported in the midst of the Japanese Army. "After a time spent recuperating in India, Walter sailed home but remained in the Royal Navy post-war. Perhaps unsurprisingly, Walter went through a period where he was too friendly with the demon drink but met a girl whom he later married and found some equilibrium. At this time, Walter was part of the Royal Navy team that won the annual field gun race at the Royal Tournament, the winners being presented to Field Marshall Montgomery. The photographs showed a very handsome and dashing bearded Jack Tar. "During the Korean war, Walter served on HMS Black Swan and was sent home after his shipmates petitioned the Captain to do so in view of his previous service and his being an ex-POW which meant that he should not have been there. On leaving the Navy shortly thereafter, without any particularly transferable skill, Walter found work in a colliery (winding gear-ropes/cables/knots etc) and subsequently worked as a postman until retirement. He must have been one very tough man. Walter's only brother was in submarines in the Mediterranean and was mentioned in despatches before his craft was sunk. I don't know if Walter knew of this before he went into captivity. Walter's boyhood hero had been Jack 'Boy' Cornwell V.C. who is a distant relative of my wife. I knew Walter for only short time and was unable to attend his funeral. His story is however fixed in my mind and well worth telling." With special thanks to 'VG' for sharing this story and preserving the memory of a brave and fortitudinous Ordinary Seaman of the Royal Navy as we approach Remembrance Day. For those who have already purchased this PDF please note the following qualifying additions to the FS 595 colour values cited by Geoff Thomas (marked in the PDF with an asterisk) and update your copies. Some of these were missing from the original document and have now been added. In all cases the qualifying comments refer to the FS value and not to the original MAP/RAF colour. If you prefer to have an updated copy just send me an email quoting the number on your copy.